Hi, I'm Ralph Grizzle. I'll help you choose the perfect river cruise. The Ultimate River Cruising Handbook includes 2019 pricing charts for all rivers and all major river cruise companies. Get your copy now. Only two river cruise companies operate on the Mississippi River, American Cruise Lines and American Queen Steamboat Company. 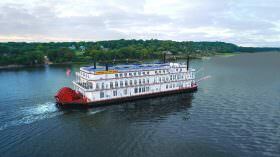 Which company offers the best Mississippi River Cruise? 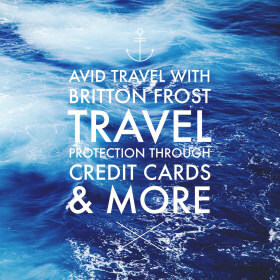 Check out the attributes of both cruise companies and see our Mississippi River price comparisons. 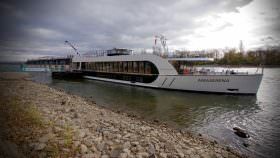 In April of 2020, I am offering three hosted barge cruises in France, two in Burgundy, and one in Alsace. Cruise with me on one or on all three! These trips are 1) All-inclusive 2) Intimate, with only 22 guests on each trip, and 3) Interesting, with included tours in some of France’s most beautiful cities and villagesThey are the only trips I host and for a reason: I love barge cruising. Click below for more information. Barge In France With Me In 2020! 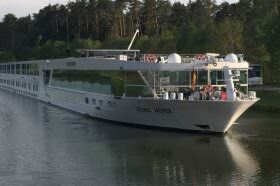 Most river cruise vessels are the same length, the same width and they have the same number of decks. And many sail the same rivers on similar itineraries. But there are some key differentiators that can make or break your cruise, depending on what's included, and more often, what's not. What's Included On My River Cruise? Choosing a river cruise can be a source of consternation, confusion and frustration. In Europe alone there are more than two dozen navigable rivers and canals. Add the confluence of companies offering seemingly similar experiences and you might just end up feeling as though you’re going upriver without a paddle, so to speak. Comparative 2019 pricing for river cruises in similar staterooms across all operators. Broken down by river and region. For comparison purposes, we looked for staterooms of equivalent sizes and features, namely those with French balconies or step-out balconies. Find out what you should be paying (or could be paying) for your river cruise. This week we are joined by Joel Gilgoff, who provides great insight into travel protection, and why it is important to look past insurance companies to find more creative solutions on how to protect your trip. When all is said and done, there is no way to accurately predict whether your river cruise will be affected by low-water or high-water. But in general, high water occurs in the spring while low water occurs in heat of the summer, usually August. Join our discussion for current updates from the rivers.